Yes, thats right, Apple fans everywhere rejoice, for your saviour has released the hugely anticipated iPad. While one Steve Bing’s Bings Bings, another whips out his iPad. Thats right folks, it’ll be a hit with the ladies! But seriously, can’t wait to ArsTechnica to do a proper review about it. I guess Bill’s vision of people using Tablets Slate‘s is finally coming true. I still have a Compaq HP TC1000 which I scored from MSFT back in the days when TabletPC was all the rage – but unfortunately it didn’t pickup. I remember Dr Neil Roodyn used to carry his TabletPC around everywhere he went. For anyone who doesn’t mind not having the latest shiny toy from Apple, but still functional, beautiful and may not lock you in to the WWoA (Wonderful World of Apple), checkout the Tegra Android SmartPad. 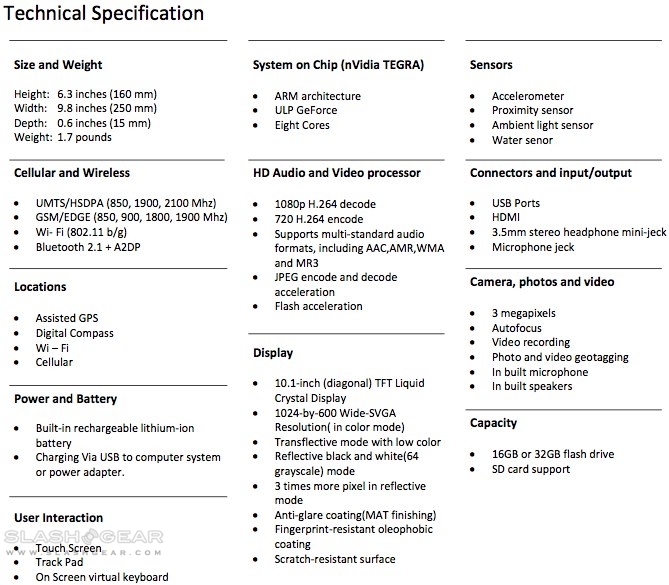 Me likey, checkout the technical specifications. Well finally Google has released Chrome 4.0 and with it extensions support amongst the many other features which finally brings some much needed juice to the browser. I’ve been running Firefox and Chrome simultaneously (Chrome for gmail & google apps, firefox for daily browsing) but I have a feeling I may change to using Chrome full time now. Xmarks Bookmarks Sync – I’ve been using FoxXmarks to sync my bookmarks for a while now, so its only natural I install this for Chrome. You can also stick with the standard Bookmark sync via Google which you’ll need a Google account for. Google Mail Checker / Google Alerter – there’s also the One Number extension that brings more than just checking gmail. AdBlock – probably the number one reason most people wanted extensions in Chrome! Forecastfox Weather – My weather extension I use in Firefox. FlashBlock – Can’t stand videos playing automatically when you load a gazillion tabs and wonder WHO THE EFF is talking? Goo.gl URL Shortner – none others required. Firebug Lite – Not as feature packed as Firebug, but then why would they call it Lite? IETab – Sometimes you gotta. Chromed. There’s lots more if you’re into Facebook, Twitter and all the other fancy things these days, even one for uTorrent! Download the latest build and give things a go! PS. You don’t need to restart Chrome to install extensions either! What a way to start the weekend, jQuery 1.4 has been released! There’s so much ubber goodness in this release I nearly fell of my chair! I have yet to muse about but most definately worth a look, the performance boosts are insane! I’ve been tracking the latest dev version of OpenSolaris (as of writing I just upgraded to Nevada SNV 130 ) because of some issues surrounding CIFS in the 2009.06 image of OpenSolaris. To update to the latest BE, simply update your packages and image-update (after configuring the dev repository!). If you’ve created zones in your OpenSolaris system after upgrading to the latest BE you will need to upgrade your zones as well. Here’s a simple guide on how to update a zone named tomcat to the BE on the global zone. The output of the attach and upgrade command appears below, here I am upgrading from 127 to 130. Publisher Reset: Copying preferred publisher from global zone. Thats it, the updated zones are now booted! Whilst I’m posting this, if you want to upgrade to a specific version of OpenSolaris you can do that too! This will upgrade your BE to 128 instead of the latest – 130. Here’s a video stream of CES 2010 with Steve Balmer launching Microsoft’s 2010+ products. Skip to about 6:00 because its all marketing blah – wait till you see Steves presentation! Ryan Asdourian from the Windows team comes in at about 27:00 which goes into touch devices. Welcome to 2010 & Evict.nl is updated & ZScreen 3.25! 5 days into 2010, its already feeling a bit awkward as 99 doesnt feel that long ago. My good buddy Edwin Vermeer has finally got his WordPress blog setup and he’s also included many of his code as open-source. Of particular interest is the assembly SVGA library he wrote (!!!) 20 years ago and various projects I remember talking with him about over the years. DBPublisher – Called SiteSkinner too for the developer version! ComDoc – COM documentation tool based off DBPublisher. Error handling – Based off my wExceptionHandler (which in turn was based off an MSDN Article) but far more improved. Object browser – Much like Reflector or Object Browser in VB6 but without an IDE to browse COM objects..
On a side note, I almost forgot to mention that ZScreen was updated on Christmas eve to 3.25 thanks to Santa. For those who haven’t tried ZScreen its a screen capture tool (open source and written in C#) that is chocko-block full of things that will make your life helluvah lot easier – especially when it comes to taking screenies for blog posts. Check it out, it goes beyond WindowClippings which used to be my screen-shot application. Let the good times roll… Wishing everyone who stumbles apon this post all the best for 2010.